Enjoy great tour options in Tropical North Queensland where your guests can visit the magnificent Daintree Rainforest, be immersed in indigenous cultural experiences or view nocturnal animals in their natural habitat at night. 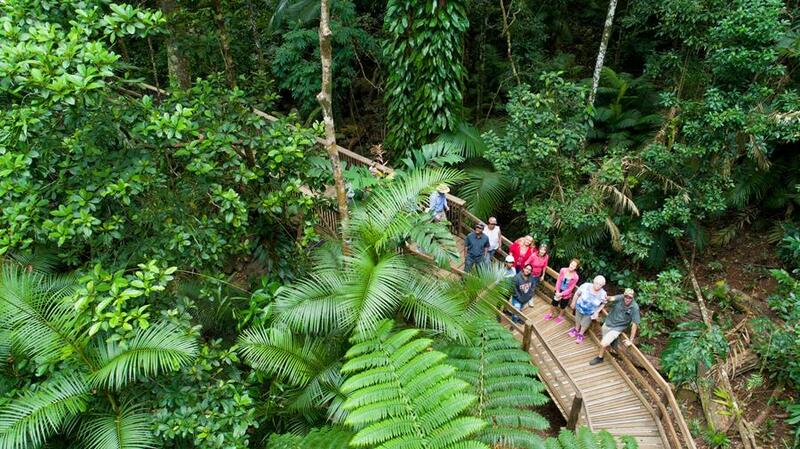 Locally owned and operated, Adventure North operates tours from Cairns and Port Douglas taking in the history, botany and culture whilst marvelling at the World Heritage Listed Daintree Rainforest. The 1 day tour includes a coastal walk on Cooya Beach with KuKu Yalanji Cultural Tours, morning tea and lunch, ‘Welcome to County’ smoking ceremony at Mossman Gorge, guided interpretive walk at Mossman Gorge and swimming at a private water hole. HOT TIP – Did you see Prince Charles and his recent visit to Mossman Gorge? He experienced the same Aboriginal encounter as your guests when they choose the Mossman Gorge Ngadiku Walk option with Adventure North. They too can follow in the footsteps of a Prince while seeing Australia’s Aborginal Culture through the eyes of its Traditional Owners. There are also 1, 2 and 3 day tours to Cooktown. Locally owned and operated. Billy Tea’s signature tour is their Daintree and Cape Tribulation Tour. The tour focuses on bringing this stunning piece of North Queensland to life. The Daintree is just a window into another world and your guides reveal this to the guests with their interpretation of the Rainforest, its wildlife and its history. HOT TIP – Billy Tea is the only operator that engages the 4WD Bloomfield Track. This really gives your guests a unique taste of this spectacular rainforest. Also don’t forget that Billy Tea Safaris offers tours through the Atherton Tableland to Chillagoe bordering on Australia’s outback. The Wait-a-While Rainforest Tour takes guests wildlife spotting by both day and NIGHT! 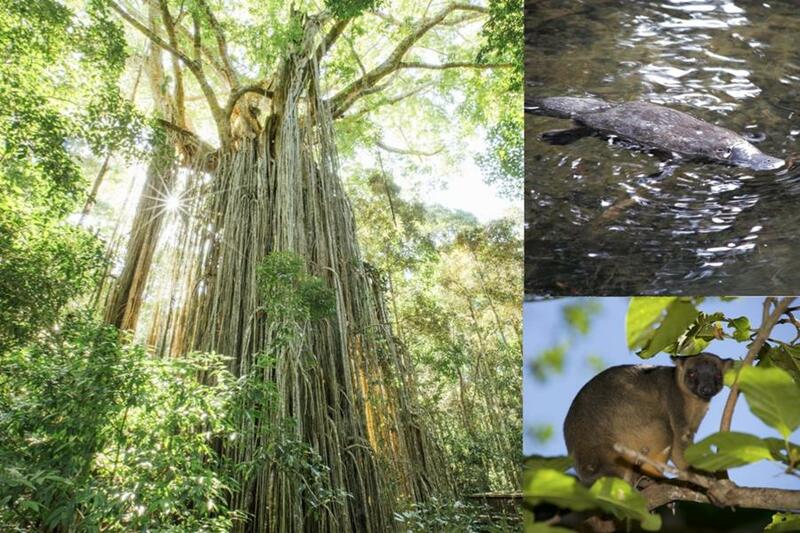 Visiting the World Heritage Listed Wet Tropics Rainforest National Parks from Cairns to the Atherton Tablelands, they host small (up to max 11 people) personal rainforest wildlife spotlighting tours into the world’s oldest continuously surviving rainforest. The best time of day to spot wildlife in Australia is at dusk through to nighttime so the tours depart in the early afternoon. As the rainforest comes alive at night (80% of animals in Australia are nocturnal or more active at night), they use spotlights which enable guests to capture the animals up in the canopy. The experienced guide will introduce your guests to some of the world’s most unusual animals, including the elusive platypus (we have a 90% success rate), tree kangaroos, possums, gliders, flying foxes, bandicoots, echidnas, snakes, frogs and many others. HOT TIP – Guests are almost guaranteed to see platypus in their natural habitats.